MERRY CHRISTMAS ...... What? To soon? I know it seems ridiculous to be talking Christmas already but here we are in mid October with Hall Decking and Ho Ho Hoing hurtling towards us. And I’m not even feeling that premature with the Xmas prep as I am a good month behind DJ’s who had their Xmas decorations out before mid Sept no less. I mean, really, September? I absolutely adore Xmas but I genuinely feel for the poor salespeople that have 3 full months of Christmas carols playing at work. Pretty sure even I, Christmas carol lover, would be Bing Crosby’d out by the start of November. I digress, the festive season is coming and now is the time to book in for some Christmas photos. On the 2nd of November I’ll be holding a day of mini sessions in an outdoor location with festive themed props available. 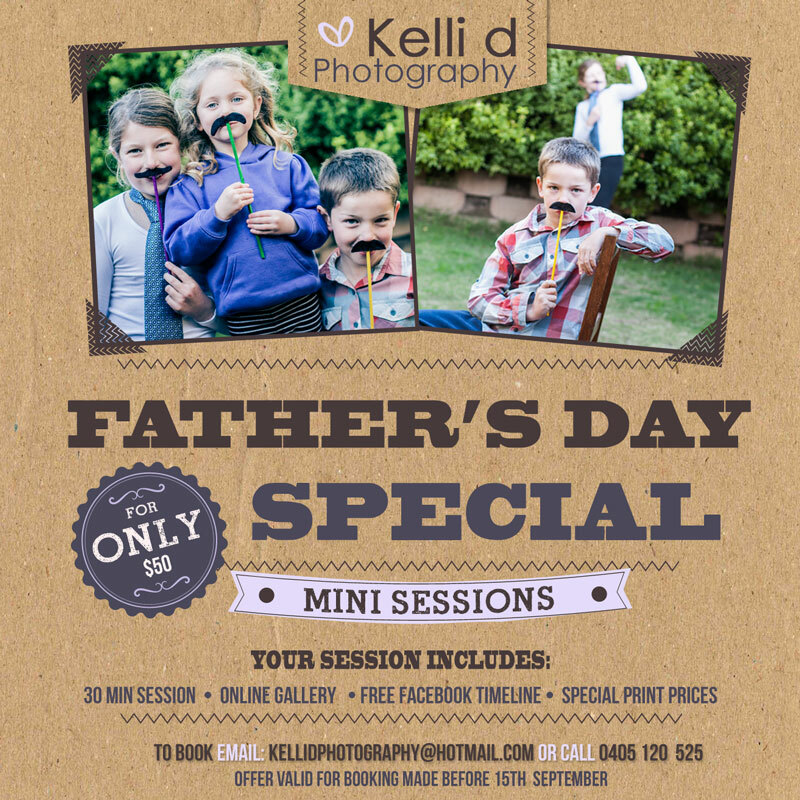 The session includes 10 personalised Xmas cards and one 8×10″ print so you can sort a Chrissy present right there. There will only be a limited number of session so book now to make sure you don’t miss out. Father’s Day is around the corner (1st of September for those not sure when around the corner is). If you want to get some photos of Dad with the kids or some photos for Dad here’s your chance. Just book before the 15th September 2013 (session does not need to be held before this date). Moustaches optional! Two spots still available if you would like to update your family photos or make them a gift for mum for Mother’s Day. 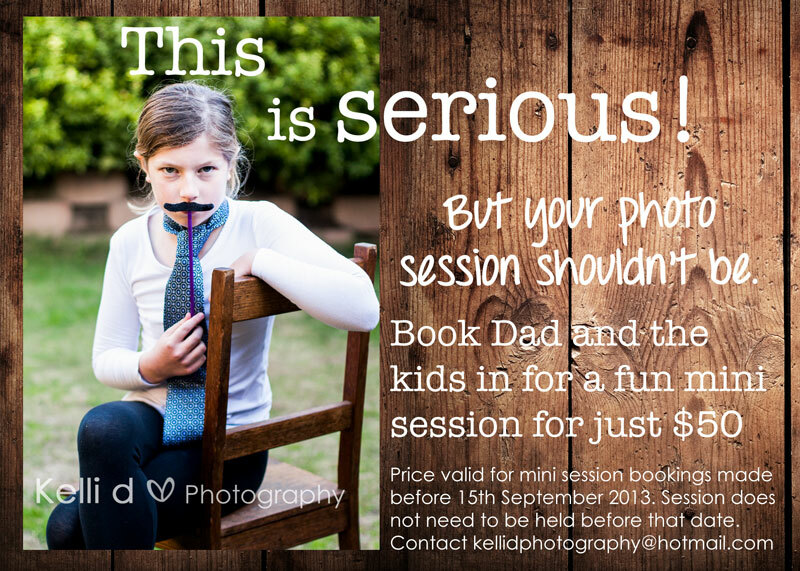 Take advantage of special prices and book in for a mini session this Saturday 20th April. Email or Facebook message me if you are interested or would like some more info on available times, etc.